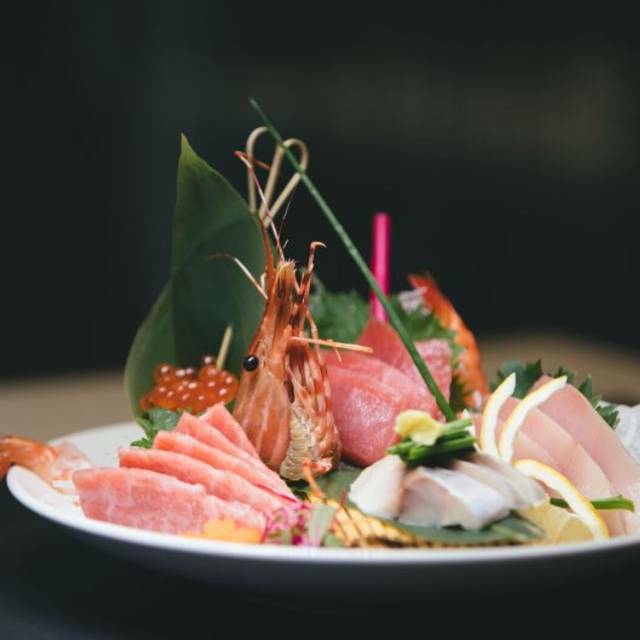 Sakana Sushi Lounge is the culmination of hand selected fish and creative Japanese cuisine in an elegant yet comfortable space in Downtown Los Angeles. We'll be the first to admit it; quality is not what it used to be. 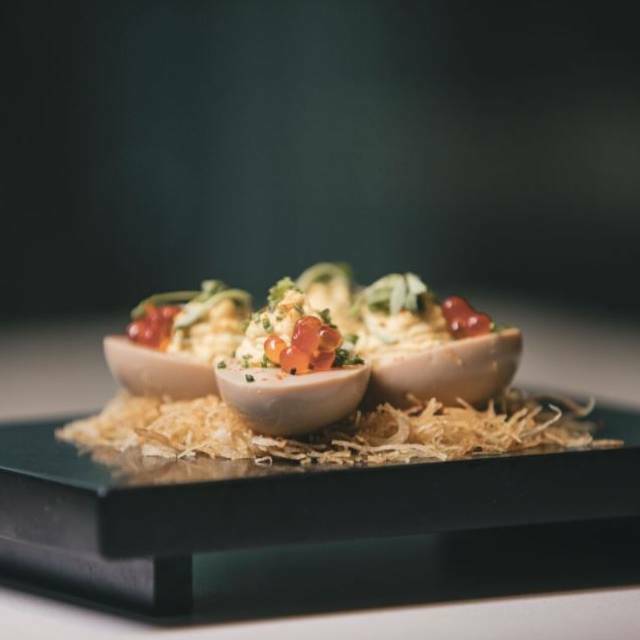 Our restaurant's focus is on using the highest quality ingredients which may be a paradigm shift in an our fast paced world. Our team hand selects real fish on a daily basis as a ritual and deep commitment to those who allow us the pleasure of serving them. Our restaurant's recipes and methods are rich in decades of experience, while our dining area commands a stylish contemporary edge. 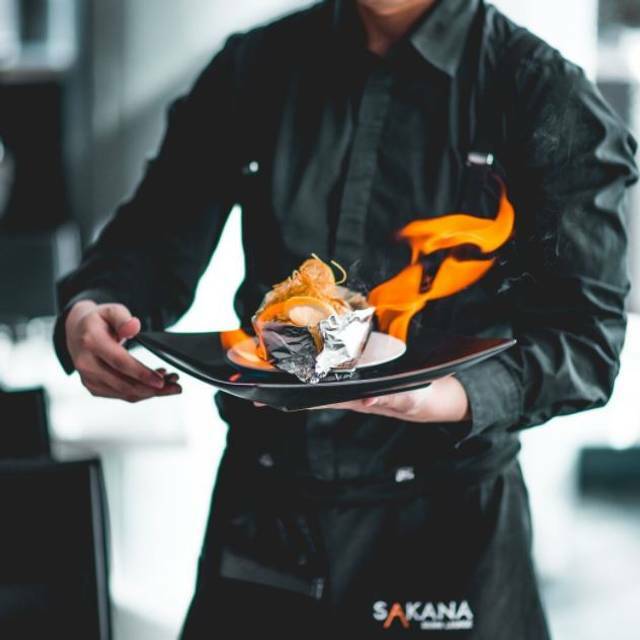 Our expert staff isn't just here to serve, but really to be a guide into a unique, Japanese experience through a menu of thoughtful and flavorful selections. Steve provides great service. All of his recommendations were spot on. We will definitely go back. Had a great experience and a great time. The service was great and the food was really good. Food was great and my girlfriend was pleasantly surprised by our Valentine's Day dinner. Great ambience! Food is delicious! Highly recommend the Sashimi and Japanese Mojito! It was just ok. Not anything I have to have again. Service was good. Dinner before Elton John concert. Waiter and host was attentive and nice. Ambience was good for small or large parties. Great food. Better than other well known places I've been to..in DTLA for sushi. To be fair, our reservation was on the later side - 9 pm - but it was a Saturday and the place was empty and the ambiance felt very sterile. The TV was on in the bar area and most of the staff, including our server, spent most of the time huddled watching it. The food was just okay. We had wished we had gone somewhere else when we sat down - and still felt that way as we were leaving. I wouldn't go back. What a great find in DTLA. Very satisfied with just about everything, especially how tasty the sushi and other dishes were. Definitely will frequent this sushi lounge. Had a great birthday dinner here, fast service, delicious sushi. Not much else I can say other than it's a great spot for a modern sushi restaurant. it would be nice if the restaurant also offers oyster shooter. This is our go-to place. 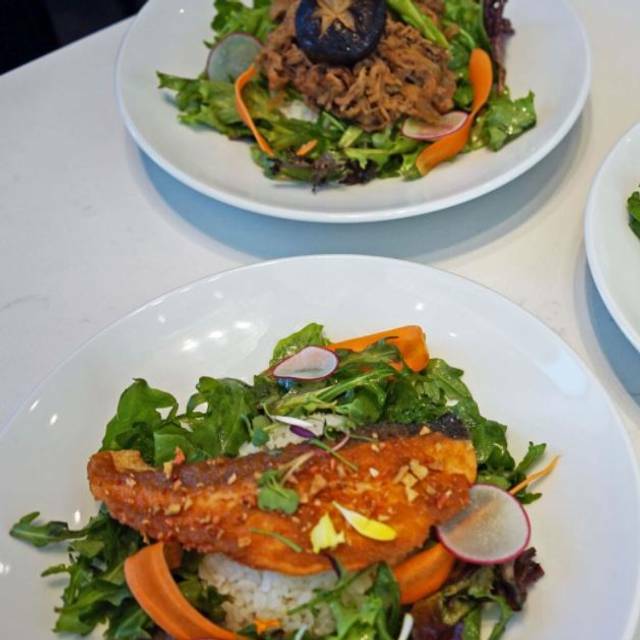 The food is always fresh, and employees are courteous. Food and ambiance were good, but the service was slow and not attentive. Sushi was very fresh and generously portioned. Cooked appetizers and bowls were very delicious. After a long time, my friend and I got together for a sushi lunch, which has always been our tradition. She has to drive from Orange Country and downtown is easy for her, so I found your restaurant. We are thrilled with the quality, service, convenience and cleanliness, and will be back often. Thank you for being there! Food was decent and they have some good daily specials. But the service was terrible. We wanted to order more food and alcohol but our server never came back to check on us in over 25 mins. Additionally, we had to get up to get our check so we could leave. Would never recommend this place to anyone. I made a reservation for 15 people for my sister’s 50th birthday. Two days before the dinner, I had to change the reservation from 15 to 20. I called the restaurant directly. They said they had no problem accommodating us. When we arrived, I figured out why. The restaurant was almost empty. What I can’t figure out is why it wasn’t packed. The sushi is high quality. Albacore, yellowtail, and salmon melts in your mouth. 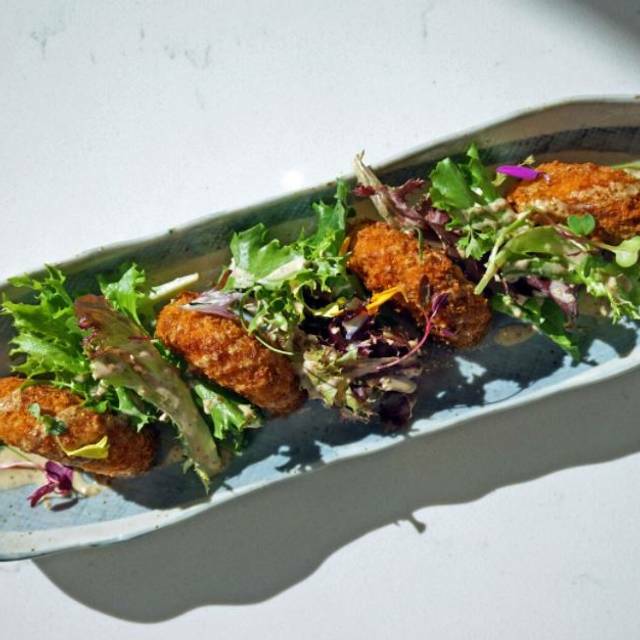 They have a wide variety of starters, like crispy spicy tuna (a crispy ball filled with spicy tuna), jalapeño tempura, and squash croquettes. 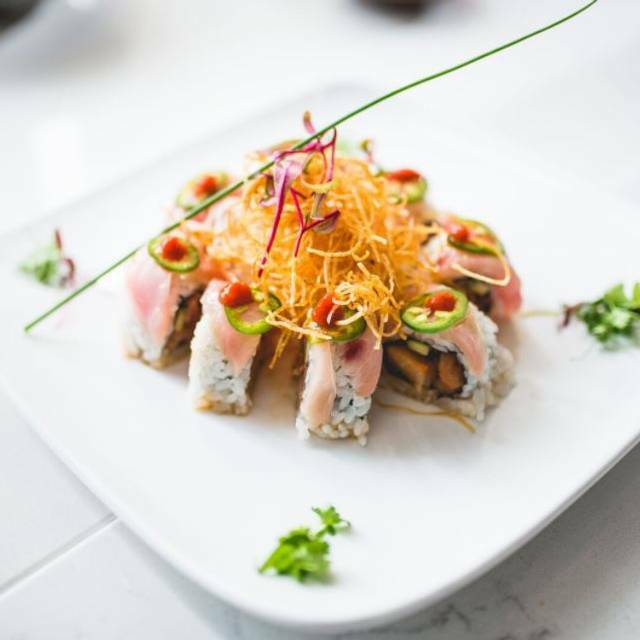 The spider roll has extra pieces of mouthwatering soft shell crab on the side. The service was prompt and friendly. The decor is clean and classy, perfect for hosting an event like ours. I will be returning soon to Sakana Sushi Lounge. Thank you for a great night! I booked a reservation for 15 people at Sakana Sushi Lounge to celebrate my daughter's graduation. The graduation events lasted longer than I expected, so we arrived at the restaurant half an hour late. Of course, I did call to let the restaurant know we were coming in later, to which they replied "no problem". There shouldn't have been a problem anyway, as we were THE ONLY clients in the restaurant; it was otherwise EMPTY. At 3pm, as my guests regarded the menu, they were asked to hand back that menu and were given another menu instead, which offered the same food, except the prices were higher. The waiter explained that it was now considered dinnertime (3pm!) and thus we had to pay for dinnertime prices. When my daughter (the graduate we were celebrating) asked about the contents of Ponzu sauce, our assigned server ANNE told her that, if she had never had it before, that perhaps she should order something else. My daughter pressed for information about the contents of the sauce, explaining that she is severely allergic to gluten and needed to know the contents of the sauce to ascertain whether she could have it or not. To this, ANNE flatly responded that ALL sauces at the restaurant had gluten. When she saw my expression of clear discontent (I was about to take my entire party somewhere else), she finally offered to ask the chef for options. The food itself was good, but the service was simply atrocious. The servers seemed angry and unhelpful, and clearly did not deserve the 18% tip they added to the bill, saying that they always requiere this gratuity for large groups. Simply put, DO NOT EAT HERE IF YOU ARE GLUTEN INTOLERANT. 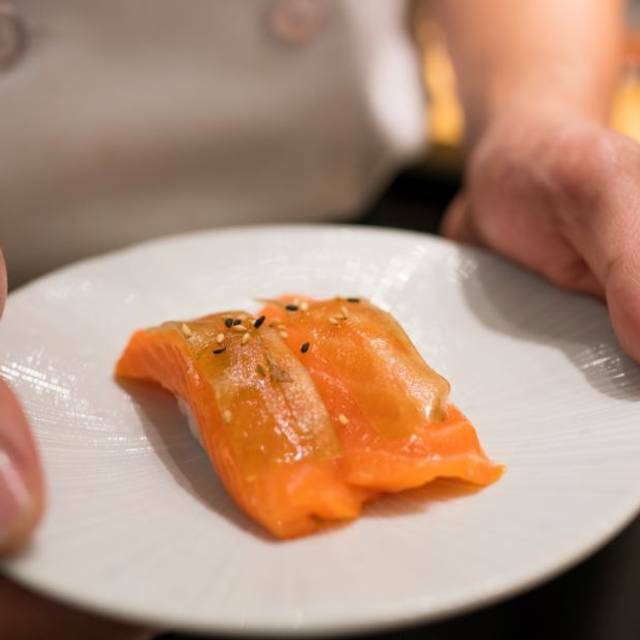 In fact, if you want sushi, I am sure you can find other places with the same quality food that also treat your party with the respect and appreciation you deserve. I will not be eating here again. Lovely place for a casual lunch - Tuna and salmon are fantastic! This is a great spot for very high-quality sushi and sashimi. The fish is impeccably fresh. The menu is varied but remains true to tradition. Best dishes: scallop carpaccio, uni, toro, spicy crab roll with seared tuna, eel and avocado roll. Can eat inside or out. Staff very attentive, chef pays personal attention to customers. We have been several times and never disappointed. I like the decor but dislike the TV's, kinda ruins a little bit of the ambiance. Sushi and rolls were pretty good overall and I enjoyed their sake flight. Nice spot for a date. Had a great meal. The atmosphere was refined and very nice. I would go back for a birthday or anniversary in addition to business or social meetings. Amazing food. 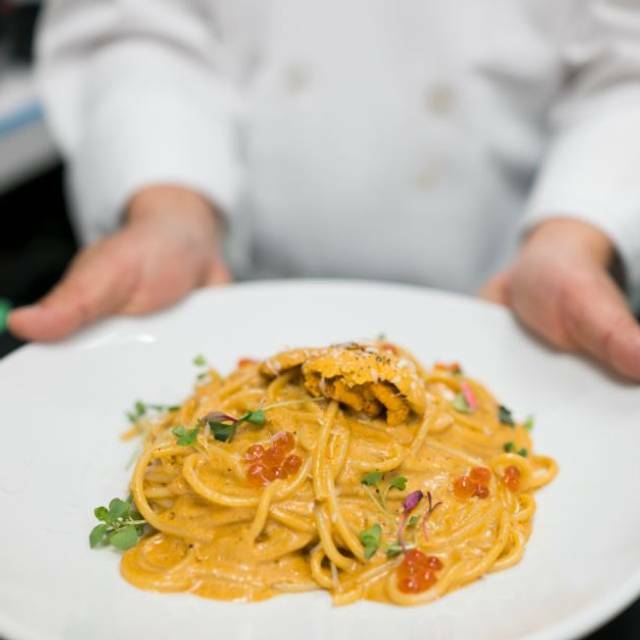 Great quality and freshness in every dish they serve. Good ambiance and attentive service. Very fresh high quality sushi and sashimi, great variety. Unique rolls with new flavor combinations. Beautiful presentation, attentive service. Nice attention / service, cleanliness, and food. Price was affordable. I went to Sakana for an impromptu dinner with some friends in LA. It was a pretty quiet evening so the atmosphere wasn't great but the food more than made up for it. We had a feast of sushi and sashimi with a few beers. It was reasonably priced, delicious and the service was very good. We love Sakana and hope they get busier because they deserve it. So happy they're in our neighborhood. 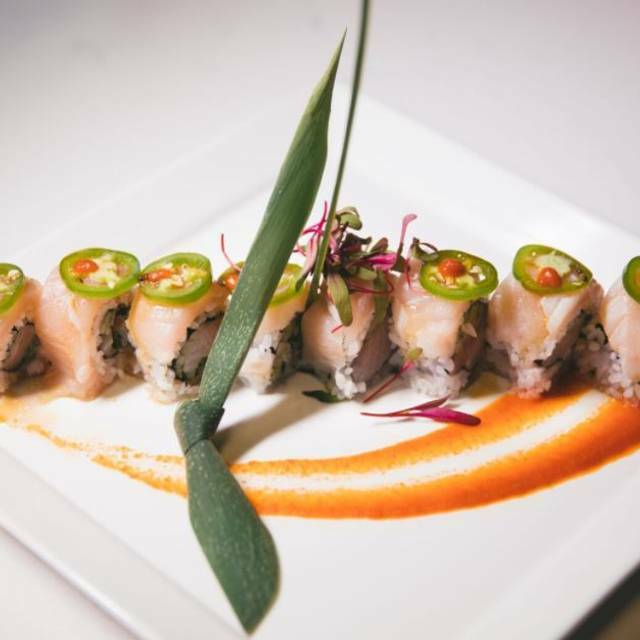 Sushi is fresh, delicious, and creatively prepared. However, I like their prepared dishes even more. Servers and bartenders are great and remember you on your second visit. Can't recommend it enough. Some of the worst most leathery pieces of sushi I’ve ever had the misfortune to eat. Good was really good and this place is a hidden gem. It just opened a month ago but the sushi was awesome & fresh. I would highly recommend this place to anyone in the DTLA area if you want some really good sushi. The menu, food and ambiance were great! The service needs to be worked on, server was polite but was not attentive even though the restaurant was not busy! Beautiful new Japanese restaurant in DTLA with indoor/outdoor seating. FOOD WAS GREAT. CLOSE TO THE ACE THEATRE. GOOD STREET PARKING. LOVED IT. This is a new restaurant in Downtown LA and by far it is one of our favorite spots for sushi. Food is absolutely amazing here. Staff is very polite and friendly and the happy hour deal on Sundays is a great deal. I highly recommend this place. Give it a try! The sushi creations are very creative and extremely tasty. They have a 2 for 1 roll special when you buy a drink AND you don't sit at the sushi bar. The downside is there is no alcohol and sometimes sake is what the doctor ordered when you eat sushi. Sunday night was very quiet and relaxing.